Atari and Bigben Interactive have announced that RollerCoaster Tycoon Adventures is out on Nintendo Switch in Europe this week. Nvizzio Creations, the developer behind the free-to-play RollerCoaster Tycoon Touch, has handled the portable home console version, “built from the ground up” to take advantage of the console’s features. That will let you play using the Joy-Con controllers or touchscreen controls, with the theme park management game running at 1080p when docked in TV mode and 720p in Handheld mode. You can choose to play the Tycoon Career mode where you will be challenged to expand your park and grow your amusement empire. 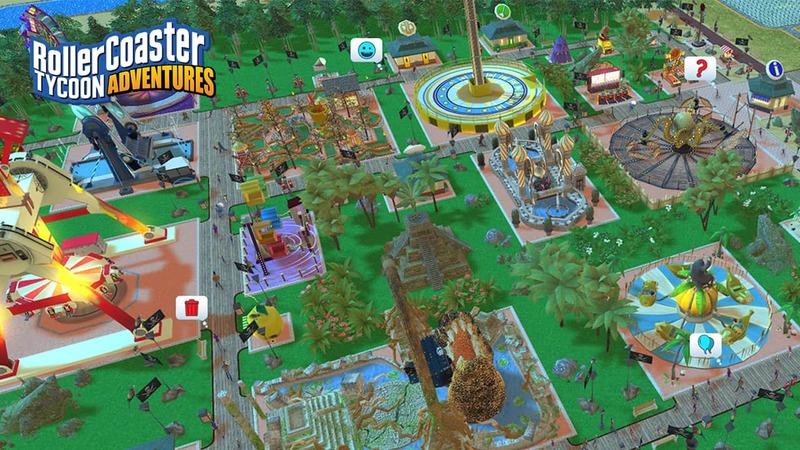 And then there’s a Sandbox mode with various landscapes in which you can create the park of your dreams with unlimited time and resources, or scenarios where you must complete objectives within specific time limits and other constraints. RollerCoaster Tycoon Adventures will release exclusively for Nintendo Switch across Europe on November 29th, and in North America on December 13th.